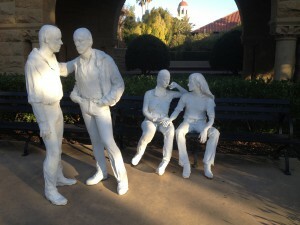 The next day Miranda and Eddie sat outside Café Venetia on University Avenue, drinking a late morning latte, and picking up on their discussion of the merits and drawbacks of genetically engineered strawberries. Jeremy the aspiring slacker filmmaker came ambling up the street on his way to work at the Aquarius. 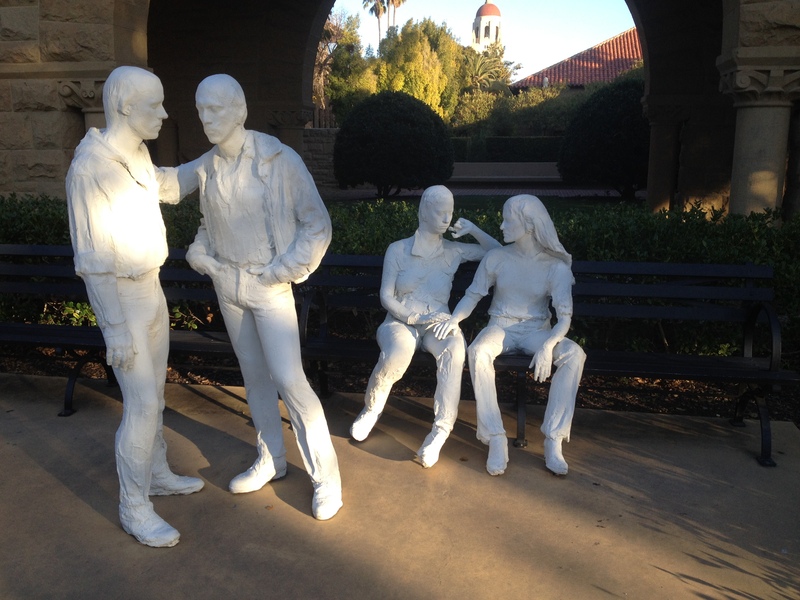 “Gay Liberation” by George Segal, an outdoor sculpture on the Stanford campus….